Free Shipping on all orders of $50 or more to the Continental US. Fits 1997 - 2006 Jeep Wrangler TJ Models. Uses existing bolts and holes. No drilling. Makes installing one of our Pod LED Lights a snap! Has 1 ATP plug to control one light. Use these wiring harnesses for lights that state they use an ATP connector (typically this is all lights greater than or equal to 180 watts. See the product listing for the light you are buying to determine the correct wiring harness to get. 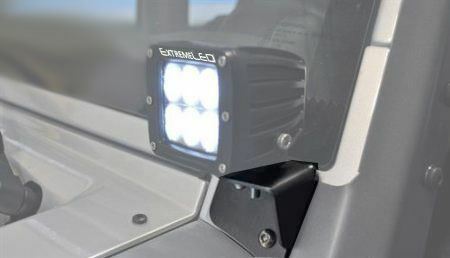 Copyright © 2019 LED Light Bars by Extreme LED. All rights reserved.